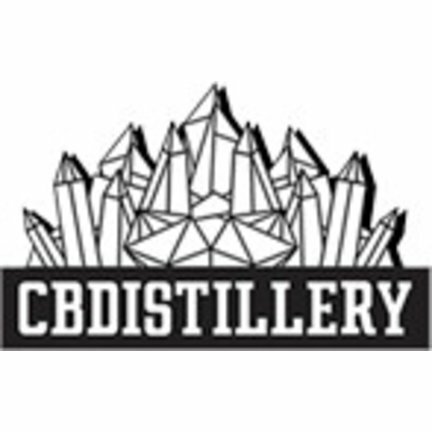 The CBDistillery™ is more than just a supplier of CBD products, we are thought-leaders, provoking change across the cannabis industry. We aim to consistently demonstrate humility, compassion, and respect for those we have the privilege of serving by providing access to innovative high-quality CBD products, access to education, and research and testimonials. Our mission is to lead the #CBDMOVEMENT by spreading knowledge about CBD to the masses. 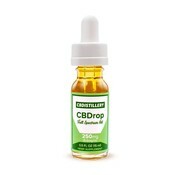 This Full Spectrum 15ml CBD Oil contains 500mg of Cannabinoids. This CBD Oil is made with Pesticide Free, Non-GMO Industrial Hemp Oil, extracted from the mature stalks and stems of the hemp plant. This 250mg Full Spectrum CBD Tincture is a great way to start your health and wellness. 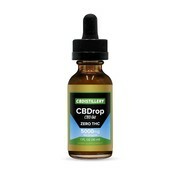 2500mg of the highest quality CBD, formulated with 99% pure CBD isolate, this Pure CBD Oil Tincture can be added to food and beverages or straight under your tongue. This Full Spectrum 15ml CBD Oil contains 1000mg of Cannabinoids. This CBD Oil is made with Pesticide Free, Non-GMO Industrial Hemp Oil, extracted from the mature stalks and stems of the hemp plant. 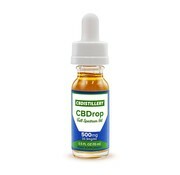 5000mg of pure CBD oil, this is one of the most powerful THC free options available! Formulated with 99% pure CBD isolate, this Pure CBD Oil Tincture can be added to food and beverages or straight under your tongue. 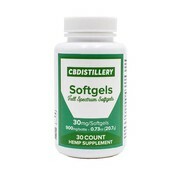 This flavorful CBD product is a combination of 99+% Pure CBD Isolate and hemp-derived Terpenes. 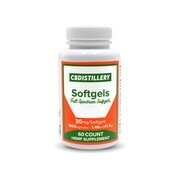 30mg capsules, 60 count bottle - Full Spectrum CBD Infused Softgels are great for on-the-go types. This flavorful CBD product is a combination of 99+% Pure Solvent Free CBD Isolate and Strain Specific Terpenes.